There is just a single chance left to buy a home at an exclusive development in Sutton Coldfield. The Hutton property at Bloor Homes Bishops Manor development in Sutton Coldfield. 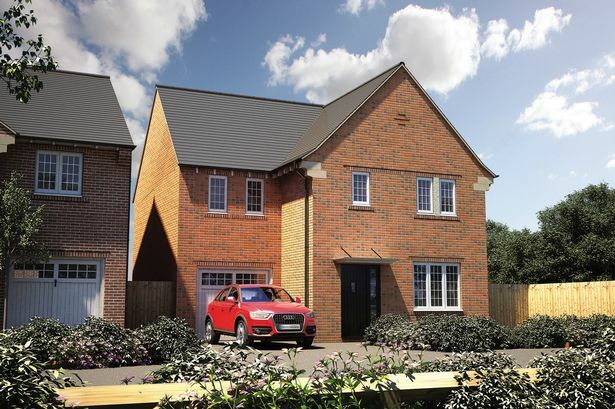 There is just a single chance left to buy a home at an exclusive development in Sutton Coldfield . All but one of the 27 luxury detached properties at Bloor Homes’ Bishops Manor have now been snapped up. The development is next to the partially-restored Grade II-listed Royal Mail delivery office. Surrounded by green spaces, it is also close to the town centre. The last house left to buy is available for £475,000, or £380,000 with the Government’s Help to Buy Scheme. It is a four-bedroom detached Hutton. Downstairs there is a spacious lounge and an impressive open-plan kitchen/dining area , as well as a single garage and beautiful back garden. Upstairs there are three generously-sized double bedrooms, two of which have their own en suite facilities, a single bedroom and family bathroom. A computer-generated image of The Hutton property at Bloor Homes&apos; Bishops Manor development in Sutton Coldfield. The master bedroom has fitted wardrobes. Minutes away from Sutton Park, Bishops Manor is also close to local schools, restaurants, and leisure facilities. The development has also recently been recognised in the National House Building Council’s Pride in the Job awards, with site manager John Carter being named a Quality Award winner for his work on the site. To seal the final purchase, Bloor is also offering to take any buyers old home off their hands under its Home Exchange Scheme. Or it will put £10,000 towards stamp duty. To view the house at Bishops Manor, visit the sales office on Thomas De Beauchamp Lane, Sutton Coldfield, Thursday to Monday, or call 0121 314 7980.